Editor’s note: Robert P. George is the chairman of the U.S. Commission on International Religious Freedom (USCIRF). The views expressed are his own. As Nigeria considers its future following this week’s celebration of its 53rd anniversary of independence, its leaders must confront a real and perhaps growing threat to the nation’s stability – Boko Haram. The radical Islamist group, whose name literally means “western education is a sin,” regards Nigeria’s federal and northern state governments, as well as the country’s political and religious elites, as morally corrupt. It rejects the West and secular democracy and seeks to implement its “pure” version of Shariah law. But overcoming the Boko Haram challenge will take more than a military response – it also requires an approach that addresses Nigeria’s tolerance of long-running sectarian violence, protects religious freedom and enforces rule of law. For the past two years, Boko Haram has been the primary perpetrator of religious-related violence and gross religious freedom violations in Nigeria. In August of this year, the U.S. Commission on International Religious Freedom (USCIRF), which I chair, issued a report highlighting the recent toll of Boko Haram’s targeted assaults on religious institutions and leaders. The numbers are troubling. Since January 2012, Boko Haram has launched religiously-motivated attacks on 50 churches, killing at least 366 people; 31 separate attacks on Christians or southerners perceived to be Christian, killing at least 166 people; 23 targeted attacks on clerics or senior Islamic figures critical of Boko Haram, killing at least 60 persons; and 21 attacks on “un-Islamic” institutions or persons engaged in “un-Islamic” behavior, killing at least 74. Yet even setting aside Boko Haram, Nigeria’s long-term stability is threatened by sectarian violence between Muslims and Christians, bloodshed that has claimed the lives of 14,000 people since 1999. Worse, since that time, USCIRF has confirmed that only 200 people have been found guilty of perpetrating these attacks. This failure to bring the guilty to justice has created a climate of impunity emboldening the violent to commit further attacks, and indeed has helped trigger the rise of Boko Haram itself. Boko Haram uses this history as a recruiting tool and the group frequently attacks predominantly Christian areas in Bauchi, Jos, Kaduna, and Kano to further exacerbate existing Muslim-Christian tensions and fuel more violence. 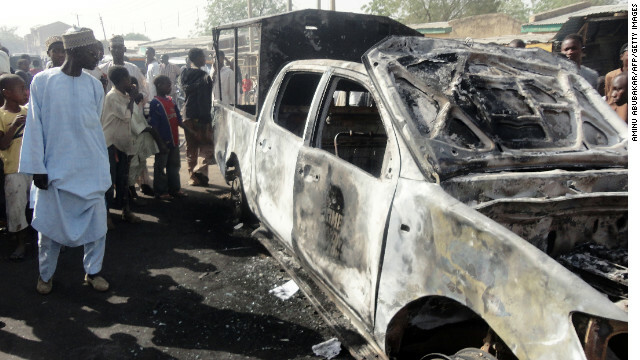 What can be done to stem the religiously-motivated violence that threatens to destabilize Nigeria? In response to the violence, particularly that of Boko Haram, the government has used counterterrorism tactics involving its security services. This strategy, while necessary, is insufficient. It cannot only be about the force of arms. Nigeria must also enforce the rule of law and make perpetrators of both sectarian and Boko Haram violence accountable through the judicial system. Indeed, President Obama was correct in making the case to Nigerian President Goodluck Jonathan during their September 23 meeting in New York that the Nigerian government must embrace a comprehensive approach that includes the protection of human rights and the promotion of rule of law. And what can other countries do to press Nigeria’s government to take appropriate action and protect religious freedom? Since 2009, our commission has repeatedly recommended that the United States name Nigeria a “country of particular concern,” or CPC, for tolerating systematic, ongoing, and egregious religious freedom violations. In addition, as stated in our 2013 annual report, we recommend that the U.S. government enter into a binding agreement with the Nigerian government to assist it in holding perpetrators of the violence accountable, developing conflict prevention and early warning mechanisms, and professionalizing the police force to combat sectarian violence. In our view, Nigeria’s government has the capacity to address the violence successfully. The problem appears to be one of will, not ability. Clearly, Nigeria’s establishment, including President Jonathan and other leaders, needs to muster the political courage to protect the innocent and prosecute those who are guilty of unleashing violence against their fellow Nigerians. Simply stated, Nigeria’s failure since at least the turn of the century to protect Nigerians from religious-related assaults – or prevent or punish such violence – must be addressed. Every effort must be made to bring perpetrators of this violence, regardless of their faith or position in society, to justice. It is the only way the country will have any chance of a stable future. Next entry »Republicans say they respect the Constitution. Really? I think Boko Haram actually means, "We like to do sheep and goats". BLOKING MENTAL TORTURE OR A TRANSMITION. HOW PEOPLE DO TO DO NOT BE MANIPULATED FROM SATELITES. With this you just kill every agencie. Good idea, why didn't I think of that? Arrest the bad guy, its not perfect, but it works. The problem is those who are really greedy, they won't give up their corrupt lifestyles. So which thief so you want to put in charge, then start your whole program based on the fact that those who are supposed to be working for the same interests are not. Every single decision has to be a need to know, otherwise your people will die. So who are you going to use on the US side to implement this cluster flock. Not another General, they obviously don't have the tools to manage the paradigm shift. The guy in charge should come from the policy professionals, there are rules to follow that have to be specific and have to adapt. So another body to use is the organizations that, look at and evaluate certain dangers, as they are known, preparation can deal with them. Maybe, Strator. Here is a scenario, there is a meeting set up with high ranking military personnel from the Canadian side and they were to have a meeting with the local tribal leaders. The tribal leaders that didn't show up must have planted an I.E.D, it killed the Canadian team. Know you know someone told these other guys not to show up. Find him. As for the incident its just so much more a part of the dead. I never heard about anybody being brought to justice for that, what were the names of these tribal leaders. This is the confusion that takes place. Lots and lots of investigators from every field there is enough brain power out there to get the answers. Finally these individuals for the most part are on the move so they have nothing to defend, when you know they are at a specific location then use the necessary tools to arrest and prosecute them. If they will not come quietly then 'those who want to surrender take into custody, those that don't, well they have made their choice. Get rid of the religion of peace and Nigeria will have real peace. Nigeria hopefully can have a peaceful outcome, for the people's interest. The author has failed to mention the social ills that prevail in Nigeria. The country is deeply mired in mismanagement and corruption. Only few Nigerians, including those in oil-producing areas, have benefited from the oil wealth. History repeats itself. Separatist aspirations have also been growing, prompting reminders of the bitter civil war over the breakaway Biafran republic in the late 1960s. The imposition of Islamic law in several northern states has embedded divisions and caused thousands of Christians to flee. The Boko Haram is mainly active in the North. Government forces have been alleged to commit atrocities there too. Nigeria has been in some state of Civil War since the late 1960's. The Nigerians have to play a balancing act between enforcing law and maintaining a government. If the "Boko Harem" is allowed to run unchecked Nigeria runs the risk of losing control of large segments of the country. If they on the other hand engage the rebels with the intent of winning an all out war, they run the risk of losing the entire country. I don't envy the Nigerian military, they have tried multiple partners to assist them with training and advising and are still little further along than they were thirty years ago. One of the sad (many sad) aspects is that Nigeria supplied outstanding infantry battalions to the British Army during its colonial period, but somewhere along the long journey through independence those qualities were diluted and lost.